Fifty years ago, Norman Mailer asserted, "William Burroughs is the only American novelist living today who may conceivably be possessed by genius." Few since have taken such literary risks, developed such individual political or spiritual ideas, or spanned such a wide range of media. Burroughs wrote novels, memoirs, technical manuals, and poetry. He painted, made collages, took thousands of photographs, produced hundreds of hours of experimental recordings, acted in movies, and recorded more CDs than most rock bands. Burroughs was the original cult figure of the Beat Movement, and with the publication of his novel Naked Lunch, which was originally banned for obscenity, he became a guru to the 60s youth counterculture. 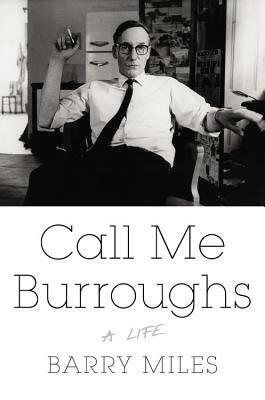 In CALL ME BURROUGHS, biographer and Beat historian Barry Miles presents the first full-length biography of Burroughs to be published in a quarter century-and the first one to chronicle the last decade of Burroughs's life and examine his long-term cultural legacy. Barry Miles is the author of many seminal books on popular culture, including the authorized biography of Paul McCartney, Paul McCartney: Many Years from Now; Ginsberg: A Biography; William Burroughs: El Hombre Invisible; Jack Kerouac: King of the Beats; and The Beat Hotel: Ginsberg, Burroughs, and Corso in Paris, 1957-1963. He also co-edited the Revised Text Edition of Naked Lunch. Miles was born in Cirencester, England.